While exercise or being in a hot environment naturally evokes excessive sweating, there are instances where heavy sweating occurs without these triggers. As a real medical condition in which an individual sweats excessively for no apparent reason, Hyperhidrosis may cause a person to sweat even when conditions are cool or when they are in a state of rest. Hyperhidrosis may affect the face, hands, feet, underarms, or other smaller areas of the body, and may lead to physical, as well as emotional discomfort. FDA approved in 2004, Botox, or OnabotulinumtoxinA, is a safe and effective injectable that temporarily blocks the chemical that signals the body’s sweat glands. Thus, when treating heavy sweating of the hands, feet, head or face, Botox essentially “turns off” sweating where it is injected. Studies note that Botox injections decrease excessive sweating in the palms of the hands up to 90%, while sweating is decreased up to 87% when injected in the underarm area. In turn, Botox injections also prove successful in controlling excessive sweating of the head and face. 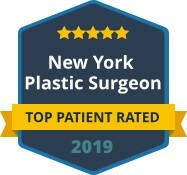 With unsurpassed surgical skill, Dr. Maurice Khosh is a dual board certified facial plastic surgeon with combined specialties in aesthetic and reconstructive plastic surgery of the face. 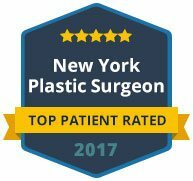 Although Botox is primarily used to address signs of aging, it is also used for non-aesthetic reasons, which is why Dr. Khosh invites you to contact his office in Manhattan if you are suffering from extreme sweating. For those experiencing severe underarm sweating, Botox (OnabotulinumtoxinA) is a purified, natural protein that is injected into the underarm area for temporary relief of excessive sweating. Injected just below the surface of the skin, Botox remains there, blocking the chemical that signals the body’s sweat glands to “turn on.” With noticeable results within 4 days and dryness experienced for as long as 18 months, Botox has proved to be effective and consistent in providing long-lasting relief of severe underarm sweating. Is excessive underarm sweating affecting your quality of life? 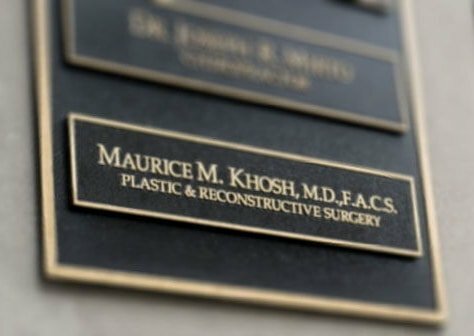 Dr. Maurice Khosh welcomes you to schedule an appointment to learn about the non-aesthetic benefits of Botox. If you are a good candidate, Dr. Khosh is happy to design a treatment plan that is safe and effective for you. Contact us today schedule a consultation about treating excessive sweating.